Dal-baati choorma, halwa, aam-ras, puri, ghee-khichadi, farsan and lots of varieties of gravies and dry sabjis- Sukanta in Deccan Gymkhana is an obvious choice when in the mood for delicious Rajasthani or Gujarati food. Hungry but low on cash? At just INR 300 including taxes (weekends INR 350), you can have a fulfilling meal with a lot of vegetarian options at Sukanta. 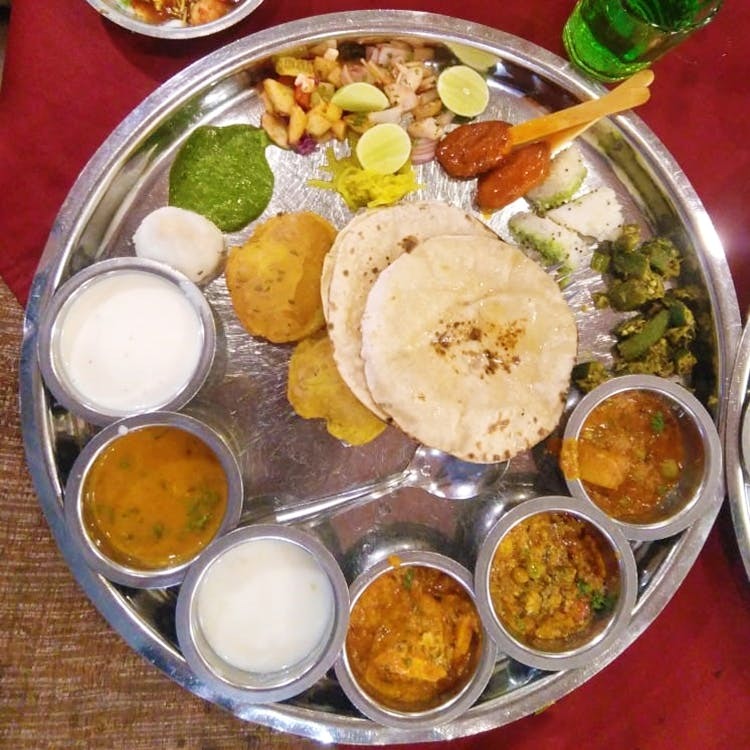 Specialising in Rajasthani as well as Gujarati cuisine, this quintessential thali place in Deccan Gymkhana combines authentic flavours and great hospitality. With two types of farsans, four gravies, two types of rice and different types of chat types and pakodas, your taste-buds are completely spoilt for choice. We recommend you savour their steamed farsan which includes khaman/sandwich dhokla, khandvi, masala idli and moong childa which as super tasty and healthy. During ten days of Ganesh Chaturthi, we had a chance to taste their delicious ukadiche modak as well. We absolutely love their thick sitaphal rabdi which also happens to be their speciality. During summers, they serve the authentic aam-ras with kurdai and papad. Got a kitty party, birthday party or a fun get-together with family, this thali place will always be at your service. We give brownie points to this place for their super-courteous serving staff who insists on serving more food. Table-booking is not available at this place. It tends to get overcrowded, especially on weekends, which leads to a lot of parking-related problems. Also, Items like dal-baati and churma are not available every day. Sukanta has also added Maharashtrian Thalis for special occasions. We suggest you try the spicy usal and ghee-laden puran polis that come with the thalis.